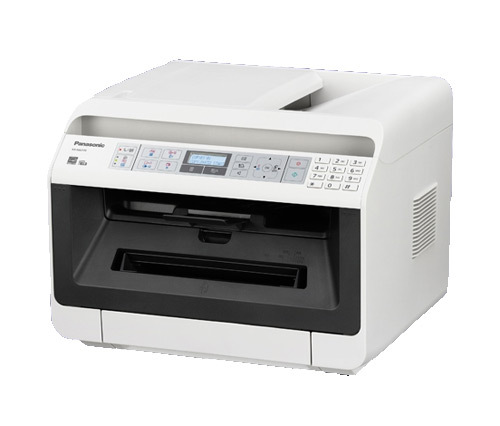 The Panasonic KX-MB2170 is a laser printer with many features that make it useful to a busy office or workplace. Printing up to A4 format, the printer can also scan, copy and fax, and with a Wi-Fi connection, you don’t have to be linked to a network to use it. The printer features duplex as standard to help you to save money and paper. It is an efficient little machine that will do everything that you need. The Panasonic KX-MB2170 is a compact size of 41cm x 40cm x 32cm. It weighs only 12kg, so it can fit on the end of a desk and will not get in the way. This printer is not difficult to lift, so if you need to move it, you can do so easily. The storage on the unit is up to 250 sheets, which is also sufficient for the average office. The Panasonic KX-MB2170 is a model that has a maximum monthly duty cycle of 12,000, which is more than enough even for larger offices. Scanning to email is a convenient feature and one that is missing on many similar small printers. Remote printing is also possible as the machine is compatible with Google Cloud Print. Slower print speeds might let down the Panasonic KX-MB2170. It produces 26 pages a minute, which is slower than other similar printers. The lack of a colour printing option and no facility to print larger than A4 size might place this printer strictly in the realm of the very small office or home user. The print resolutions are not great at a maximum of 600 x 600 dpi. Some busier workplaces might find that the 250-sheet capacity is not enough when they are producing invoices or statements, for example.